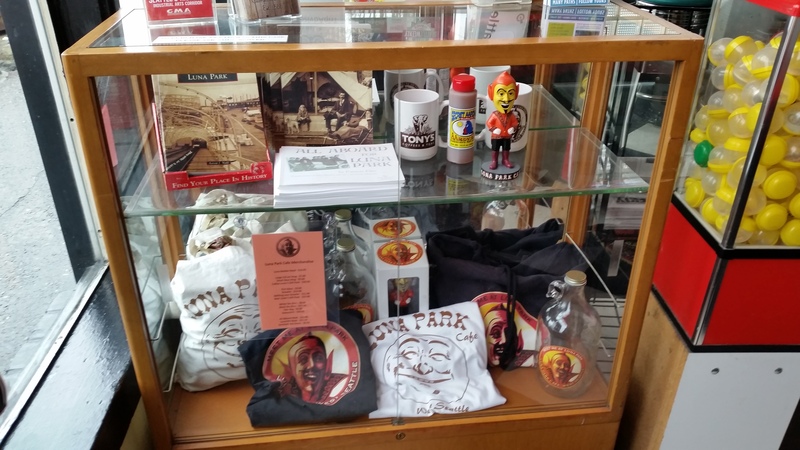 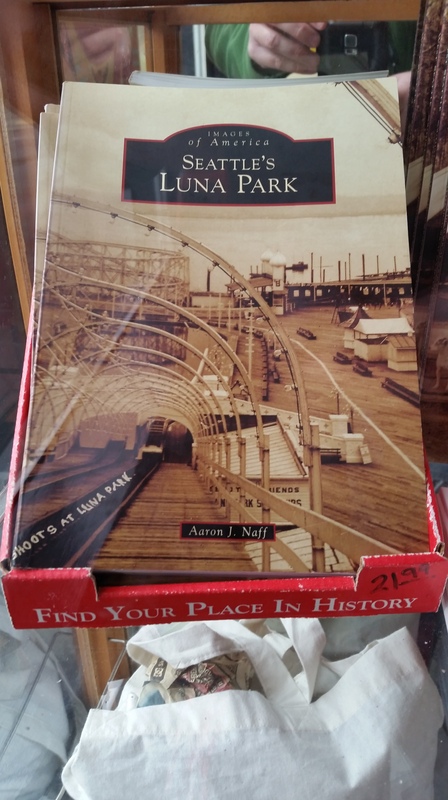 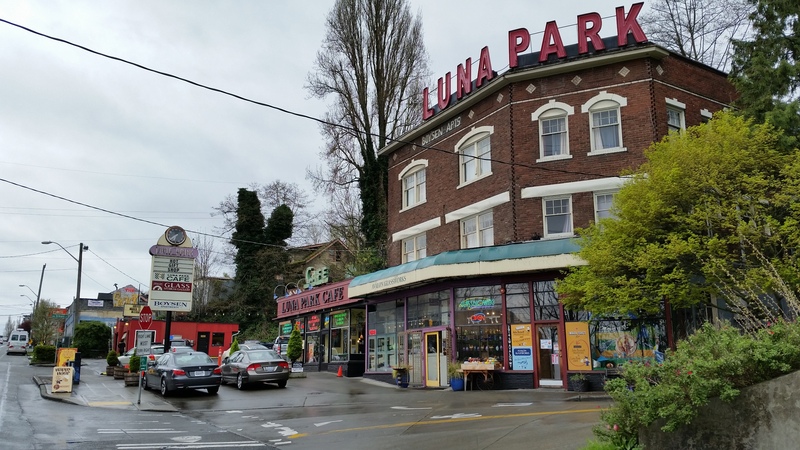 Built on a Bardwalk over Elliot Bay and on the shore of Alki Point in West Seattle, Luna Park was only a ferry ride away from Downtown. 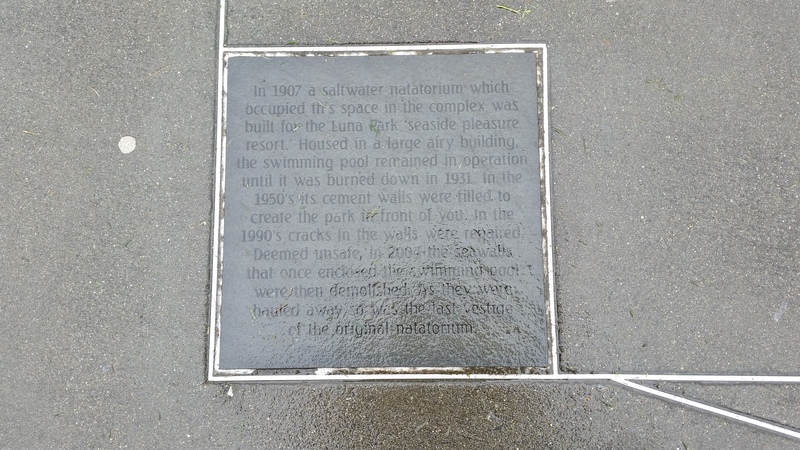 Many people could see the lights of the park dance across the water, wanting to enjoy the offerings of this place of entertainment. 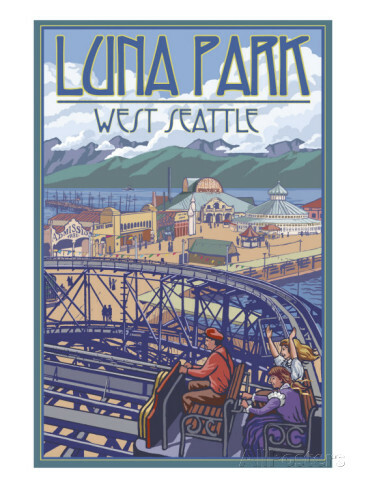 Opened in 1907 featuring a carosuel with hand-carved horses, a figure-eight roller coaster, several dark rides and a natatorium for swimming year-round, the park was a big hit for the Seattle area, with offerings that rivaled other amusement parks of the time (Some of which, like Cedar Point in Sandusky, Ohio and Kennywood in West Mifflin, Pennsylvania, are still open to this day). 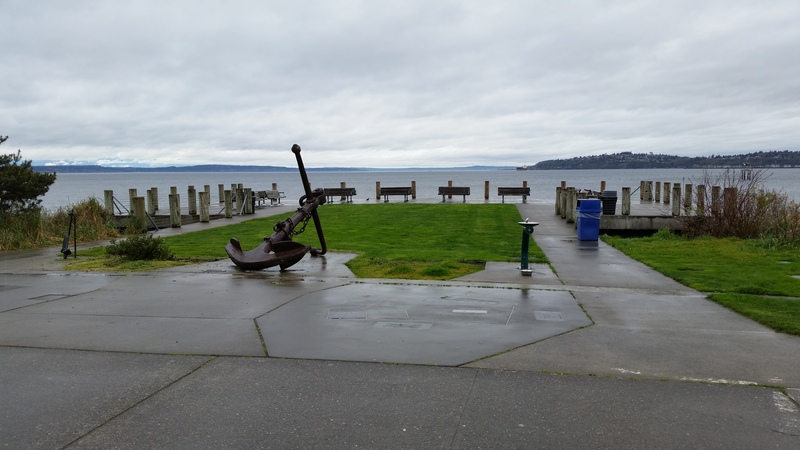 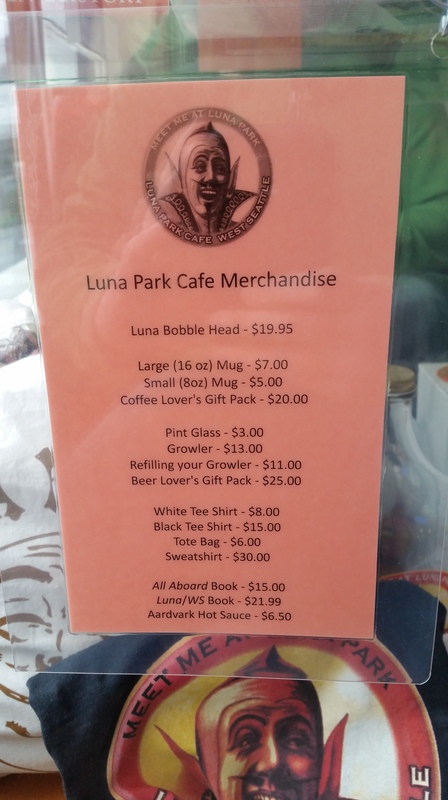 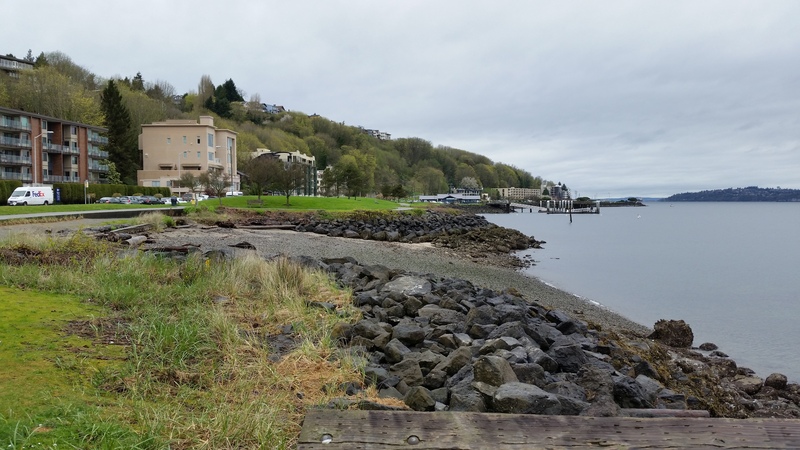 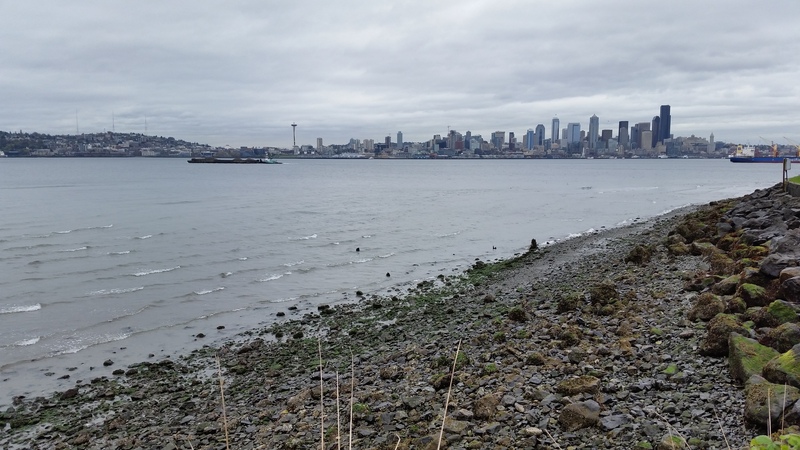 There were some residents of West Seattle, however, who were not fans of the rougher side that came with the park as it hosted one of the largest bars on the bay. 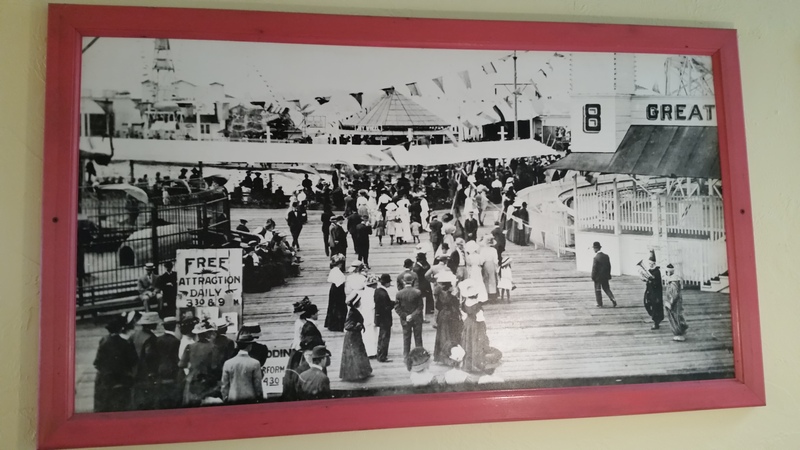 Several visitors also sustained injuries at the park due to falling from rides, and the park would see it’s demise in 1913 after new ownership failed to keep the park open. 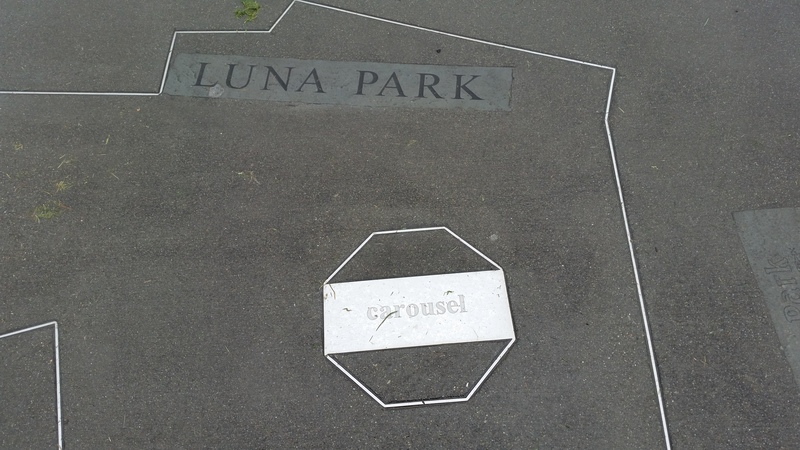 The carousel has since been relocated to Yerba Buena Gardens in San Francisco, where it still operates. 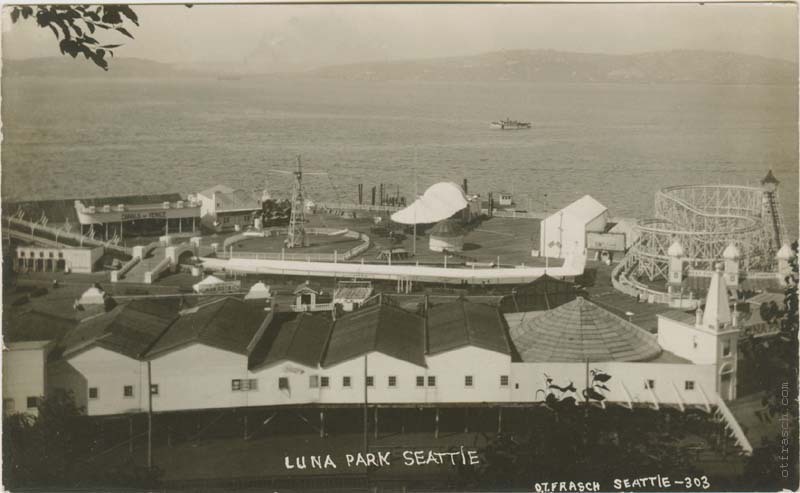 The natatorium remained open until 1931 when it suffered damage from a fire that would lead to it’s demolition two years later, but the pools remained until they were filled and the plot was converted into a small park and pier with benches to enjoy the view of Elliot Bay and Downtown Seattle. 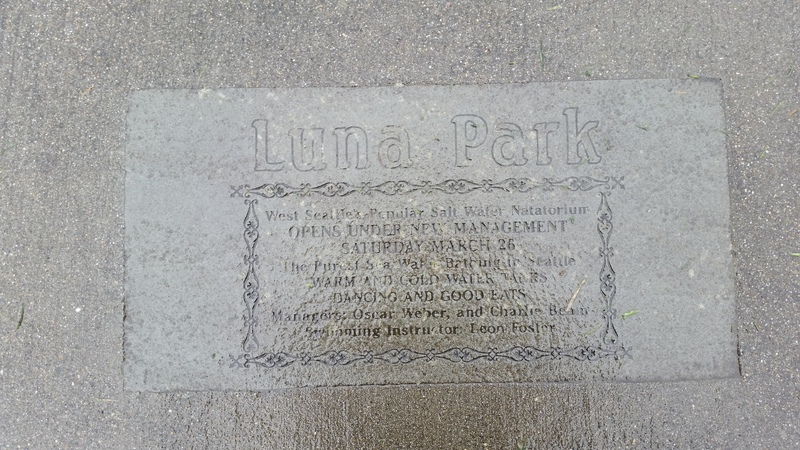 Today, I went to pay a visit to Luna Park’s old site. 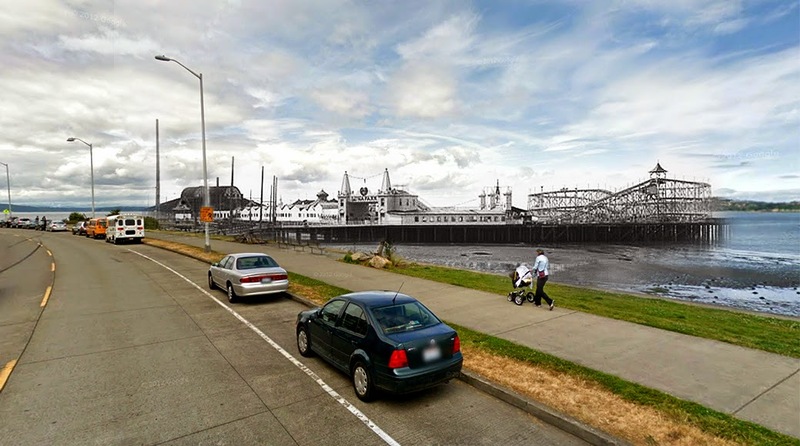 Not knowing if there was anything associated with the old park, I had looked up the approximate location on the roller coaster database (rcdb.com) and it led me to the area shown above around the intersection of Harbor Ave. and Fairmont Ave. 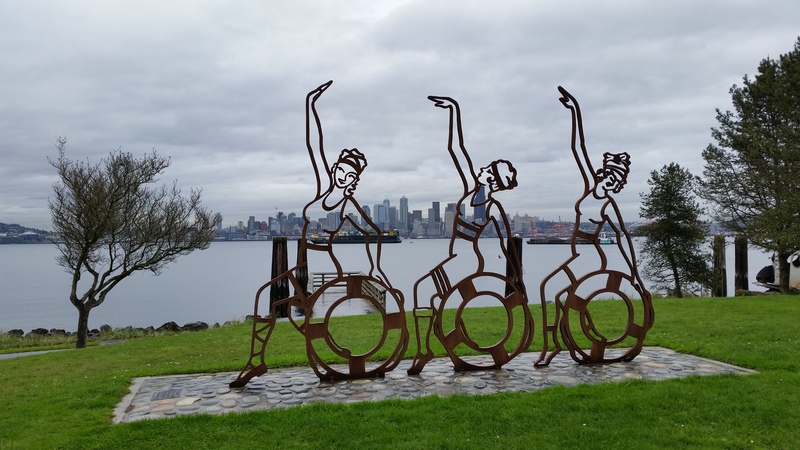 The area was not quite the location of the park, but they did have a sculpture (shown below) that paid tribute to the park that once entertained many. 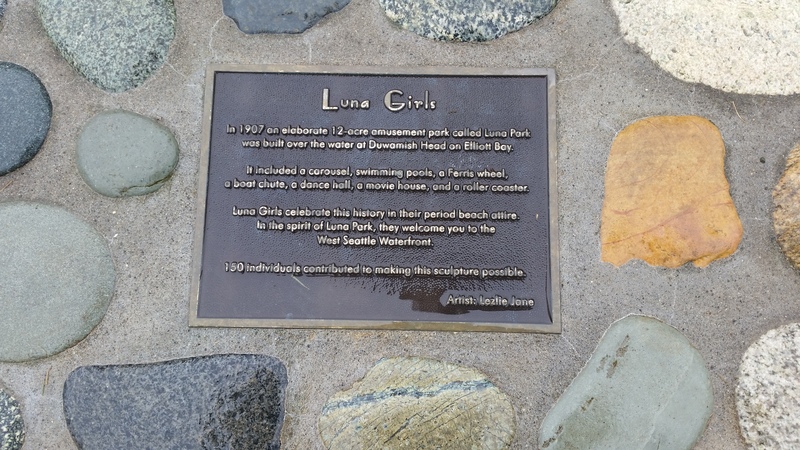 Above is the site that was once home to Luna Park. 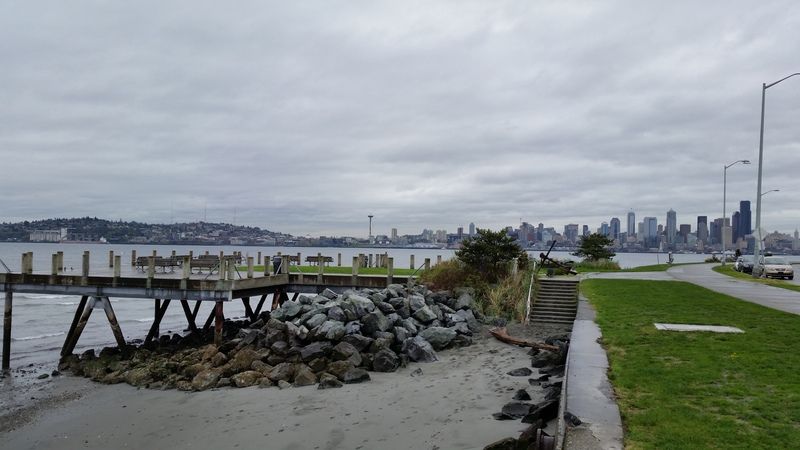 As indicated in the parkers shown below, the grassy area was one of the old pools of the Natatorium, and the rest of the park was built on a boardwalk over Elliot Bay towards the right and forwards from the current little park you see above. 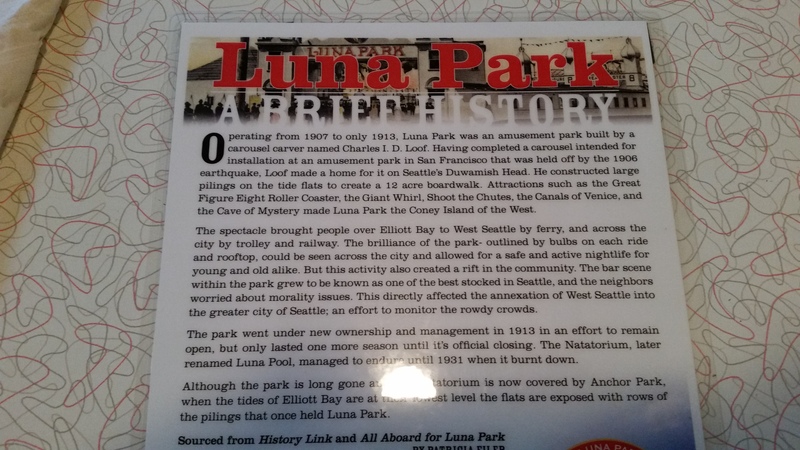 Now, while the park is no longer there, I stood in the little park and imagined for a moment what it would have been like if this park were still there today, even if it had changed over the years to become more modern, perhaps with a newer roller coaster built in it’s place, or more modern thrill rides that you can find in today’s parks. 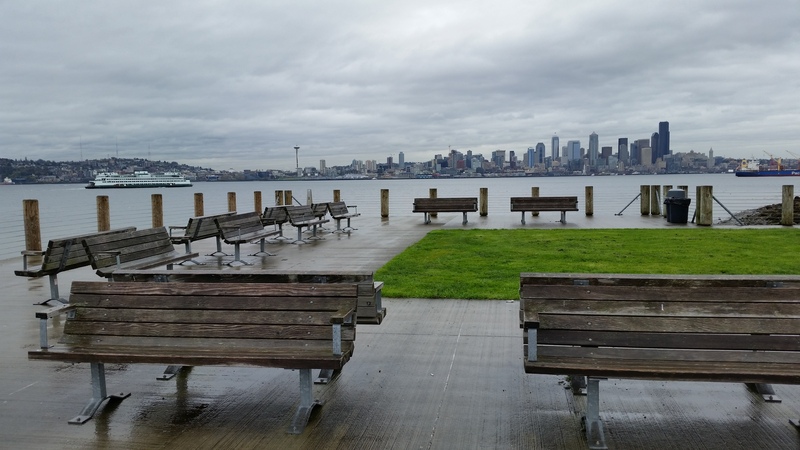 Could you imagine how awesome this park could have looked with a beautiful city like Seattle in the background? 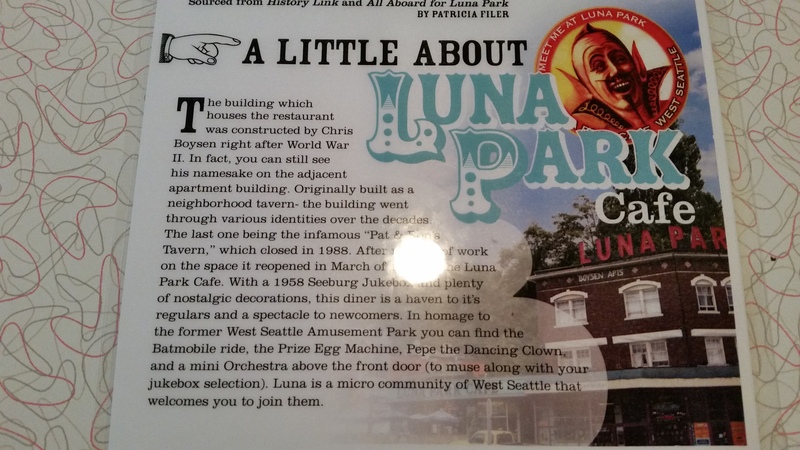 I would have absolutely loved it! 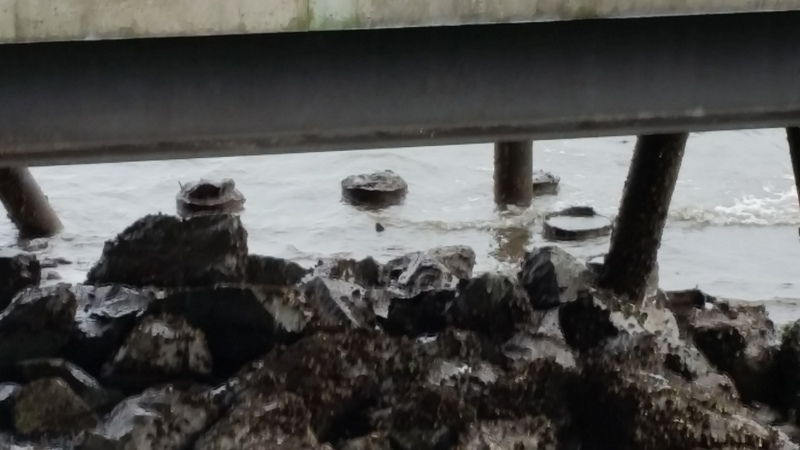 But alas, there is no longer an amusement park in this spot, just the remains of the pier, some of which you can still see when the tide is low enough. 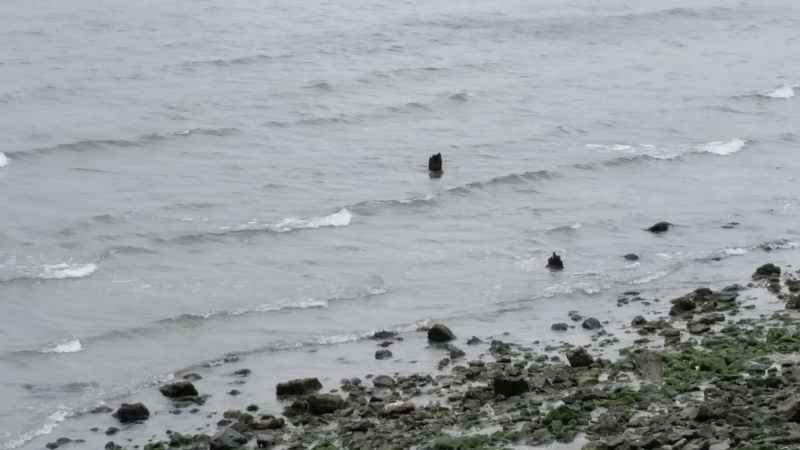 While the tide wasn’t quite low enough today to see a lot of the remaining footers, you could still see some of them. 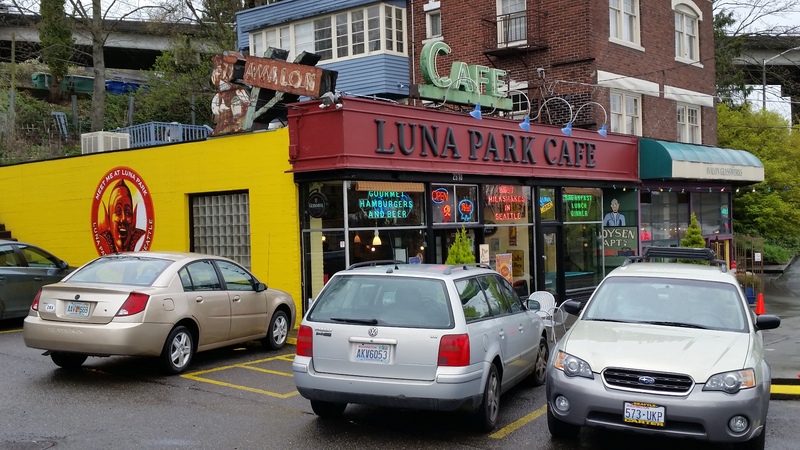 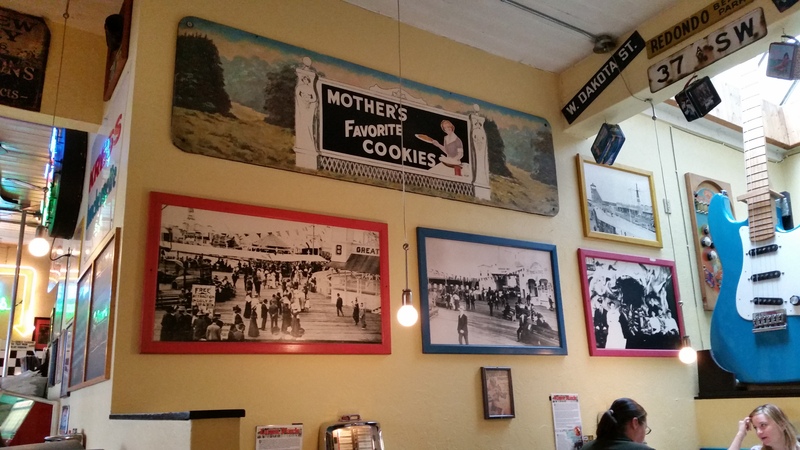 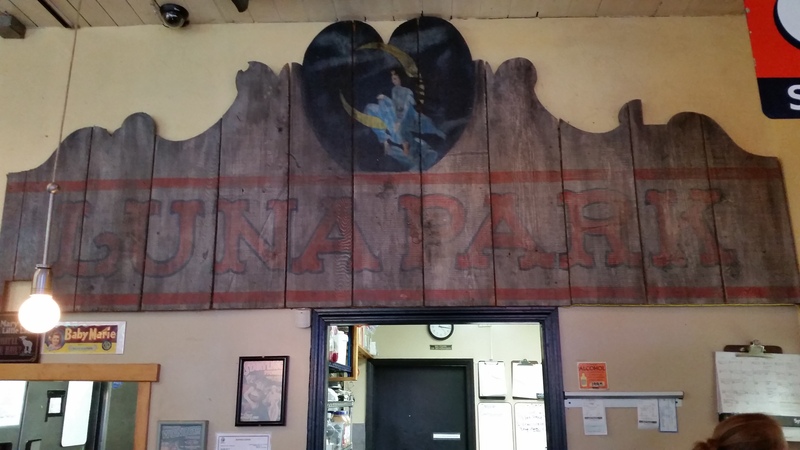 With that, we bid farewell to the former home of Luna Park, and go on to a restaurant that I had no idea existed until today, the Luna Park Café. 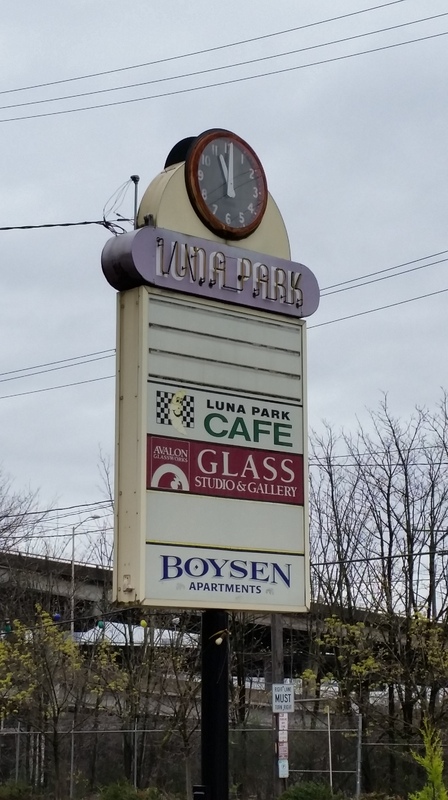 This restaurant was once a gas station, and is part of a bigger office and apartment building. 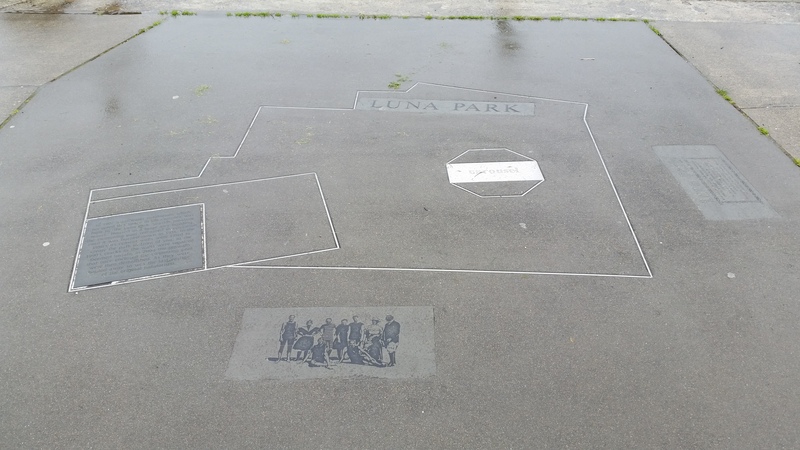 It pays tribute to the park that once stood just north of it’s location. 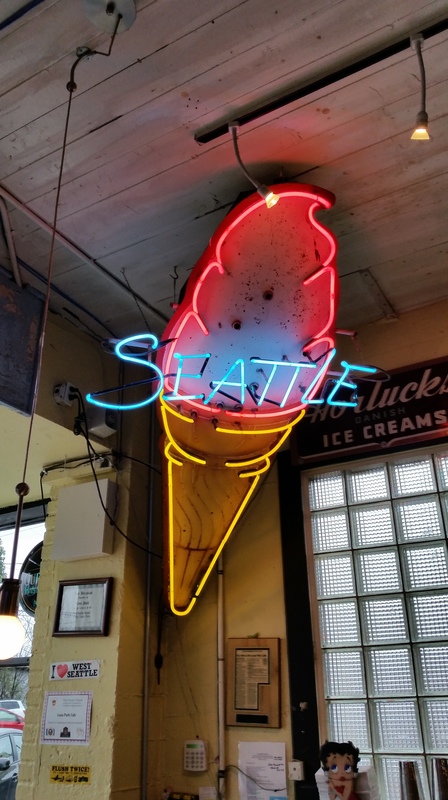 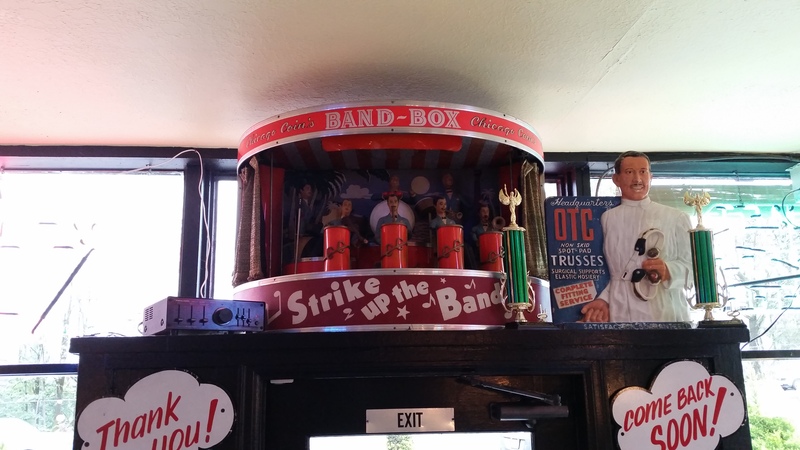 Home to the self-proclaimed best milkshake in Seattle as well as gourmet burgers, this place did not disappoint! 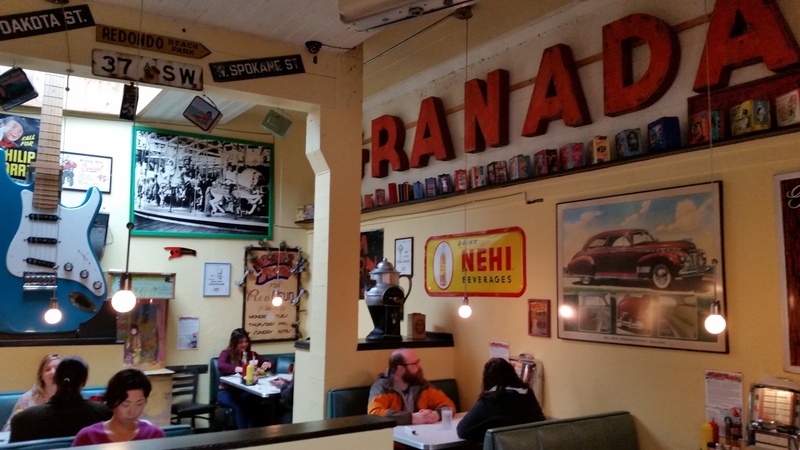 As for the food, I had a French dip, and was surprised by how quickly it was prepared. 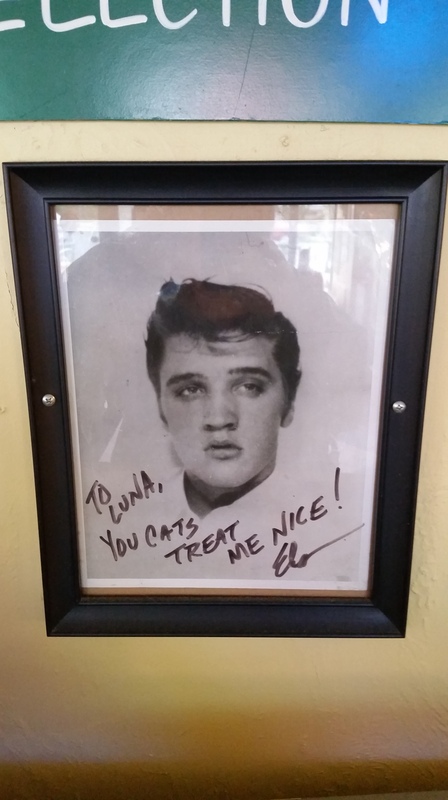 I unfortunately didn’t try one of their milkshakes as I was too full, but it was a good meal. 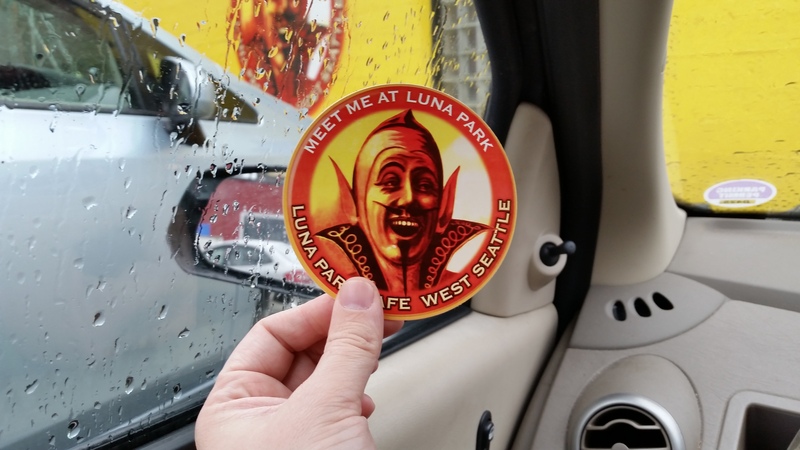 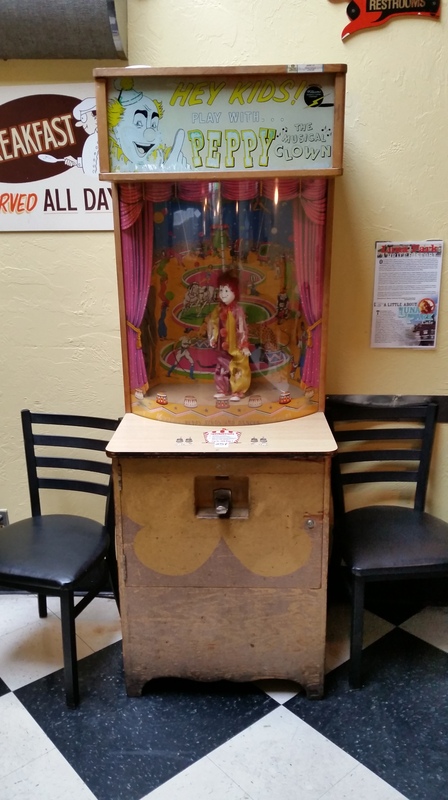 With that, I thank you all for checking out my report of visiting Seattle’s Amusement Park Past. 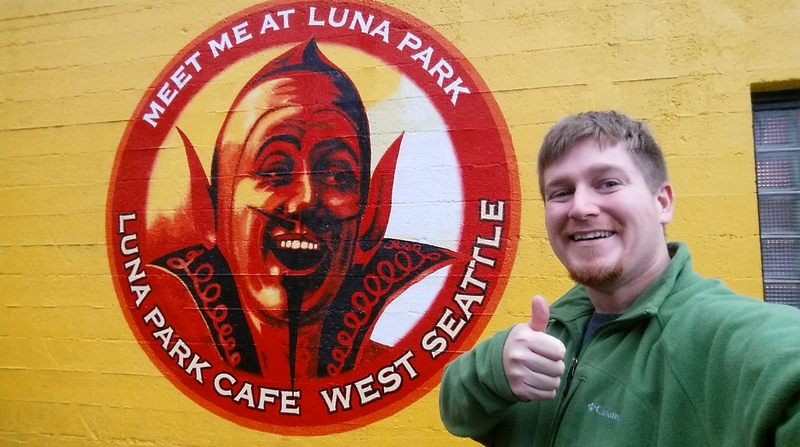 I hope that you will join me again for future updates here on The Traveling Mr. Taylor. 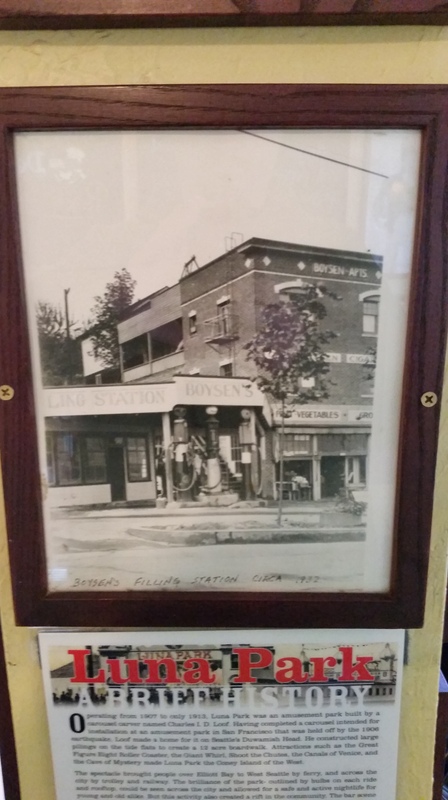 A look at what could have been!